National charity, Woodland Heritage, has become the new owner of Whitney Sawmills, a business established by local craftsman, Will Bullough, over a quarter of a century ago in the charming Herefordshire village of Whitney-on-Wye. In those days Will was a craftsman who became increasingly frustrated with the quality of the timber available. So he decided to try milling and drying his own materials little realising what this experiment would eventually lead to. The sawmill grew steadily to become a UK wide supplier of timber to businesses of all sizes from the grand Dumfries House project in Scotland to one-man boat builders in Cornwall. Over the years the mill has supplied many exciting, prestige projects such as fine oak for the Kings Dining Room in Edinburgh Castle, or sweet chestnut for the royal row barge, Gloriana. It is currently milling oak and elm for the restoration of H.M.S. Victory and more locally the rebuilding of Grade 1 listed LlwynCelyn just over the border in Wales. 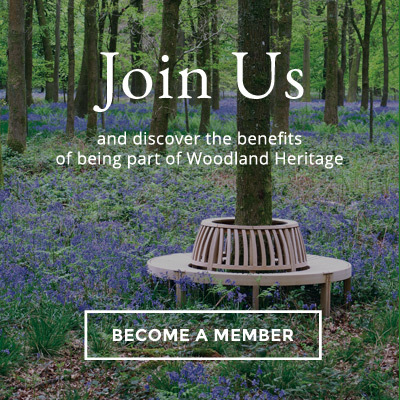 Woodland Heritage is a charity established in 1994 by two cabinet makers ‘keen to put something back’, with a key aim for the charity to promote the growing of trees and the use of wood. Working with Will Bullough, the popular ‘From Woodland to Workshop’ courses were established nearly a decade ago, all of which have been run from Whitney Sawmills and which have attracted well over two hundred students over the years, all from some part of the timber supply chain. “Whitney Sawmills has long been a part of Woodland Heritage’s way of working”, said the charity’s co-founder and Chairman of trustees, Peter Goodwin. “A sawmill is at the centre of the timber supply chain, being the crucial link between grower and user and which is the very reason why we have always held our ‘From Woodland to Workshop’ courses at Whitney. And whilst there has been a huge reduction in the number of hardwood sawmills in the UK in recent decades, Woodland Heritage believes that with the right approach a healthy future exists for those that remain, something that we want to demonstrate by taking on and running this excellent business”. Will Bullough added: “It has been a great pleasure establishing and then developing Whitney Sawmills, helping not just to supply the varied demands of our customers, but also to keep rural employment and skills alive. Whitney Sawmills isn’t just a supplier it’s also a customer, buying timber from local landowners and helping to secure the jobs that they in turn offer. It has also always been a priority at Whitney to aim to benefit woodland wildlife wherever possible, as so often it is lack of woodland management that is creating the greatest threats to many endangered species”. Woodland Heritage has established a trading subsidiary called W H Timber Limited which took over Whitney Sawmills on 1st August. All existing staff have become employees of W H Timber Limited. Whitney Sawmills will remain the trading name.